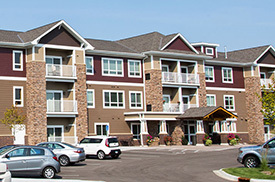 Our Communities are near many shopping and activity options. See which one is right for you! 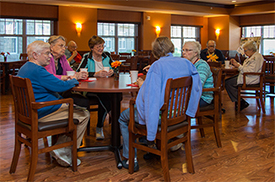 Our Communities provide seniors with arrangements for independent, assisted or memory care living. Enjoy a rewarding work environment every day! Apply today! 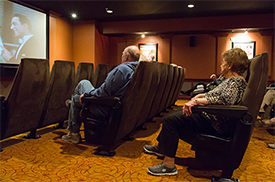 Sit back and enjoy the show or go out and putt away! Our communities are filled with so many great features. Contact us today and see for yourself! 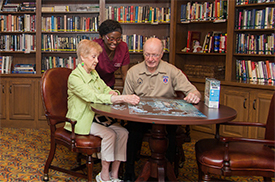 When you choose to live with us, you become an important part of our family of residents and staff. At Southview Senior Communities, our focus is on family, home, community and providing a safe, comforting environment for all to enjoy. 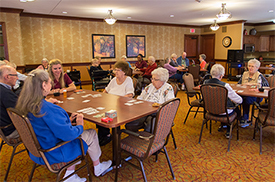 We have a caring, professional staff that provides activities to keep residents both active and socially connected. 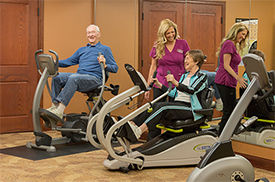 From home-cooked meals and exercise classes to social outings and birthday parties, we are committed to the health and happiness of our family of residents.